Thanksgiving, Hannukah, Christmas, New Year. There are plenty of holidays this season and if you’re running an ecommerce business then that means plenty of selling opportunities. To be specific, if you have an active business page, then it’s time to sell on Facebook! The stats are in and social selling is killing traditional methods like cold calling and flyers. 72.6% of businesses using social selling outperformed their non social peers while 56% of Facebook users have clicked on an ad selling a product. 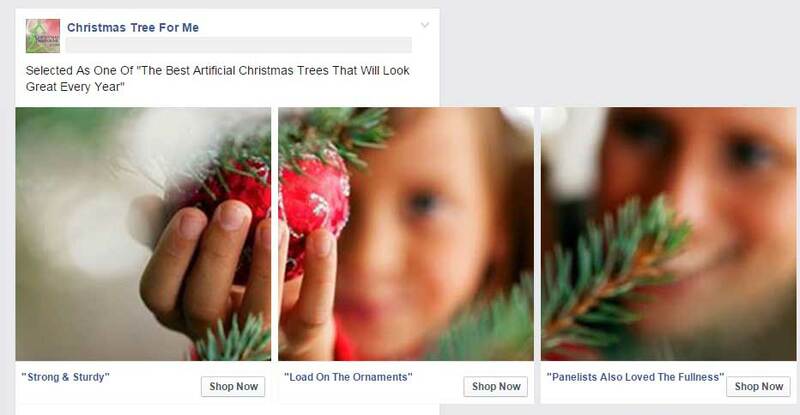 So the question is will your business make money on Facebook this holiday season? In this article I’m going to give you some tips to make sure you maximize your chances of doing just that! Imagine you have a shop on a busy street filled with beautiful products that you just know your customers will love. Imagine now that you lock the front door and paint the shop windows black so nobody can see inside…. Crazy right? Well that’s essentially what you are doing if you don’t have a Facebook store linked to your business page. There are tons of selling apps to help you showcase your products on Instagram but what about Facebook? Here are my top 3 that you might want to try. Shopify has helped merchants process over $20 billion in sales and the great news is that they have a free Facebook store app. With hundreds of add on apps you can completely customize the look of your F-Commerce (Facebook Commerce) store to grab consumer attention. BigCommerce has helped merchants process over $9 billion in sales and allows you to leverage on all your social media channels including Facebook. With over 100 themes, BigCommerce claims to increase your revenue by 28% per year which is twice the industry average. While Wix is better known as a website builder they also have e-commerce features. With Wix you can easily build a free Facebook store and manage it using the in-house editor. One huge advantage here is that your inventory is managed in your Wix online store so updates such as “last pair of shoes” can easily be pushed out to increase sales. Facebook users are increasingly expecting a smooth funnel between seeing your advert, clicking on it and purchasing from you. This means that setting up a Facebook store is essential for businesses looking to churn some serious revenue this holiday season. The most important thing you can do right now is to plan ahead because last minute campaigns just won’t hit the mark. Use your Agorapulse calendar now to schedule the various different messages you want to give your customers this holiday season and pay attention to the dates and times you are scheduling for. Your scheduled posts can include links to your landing page, links to your online shop, special offers, holiday images or even a video. Free Shipping – Adding shipping costs to an order can really deter customers from reaching for their credit card so offering free global shipping during the holiday season is a big incentive to buy. While we are on the subject, make sure your products can be delivered in an appropriate time frame… nobody will be happy with an empty stocking on Christmas day! Relevant Products – Maybe you have 5,000 items in your store but which ones are you going to showcase for your offer? Definitely those that are relevant to the holiday season! Check out Zazzle’s cool shop window which was promoted via email with this clickable header. Capture The Mood– Your promotion should be capturing the mood of the holiday season. That is family, friendship, warmth, love and peace to all mankind and probably some snow. If your offer is going for the hard sell this season and skipping the warm and fuzzy stuff then you may come unstuck. Check out Coca-Cola’s Share A Coke Christmas campaign and think about how you can create the feeling for your brand. Creating an offer for the holiday season is as easy as pie with the great range of tools available from Facebook. You can easily create an offer using Facebook’s own offer/event options and perhaps give a discount to the loyal fans of your page. Another great thing here is that customers can redeem the offer online or in-store which is perfect for making the transition from online to in-person sales and getting to know your target audience! Let’s assume now that you don’t have an extensive team of designers and video editors to make a viral holiday campaign for your brand. Don’t worry! You can still use the tools at your disposal to create beautiful and eye catching Facebook ads that potential customers will be drawn to. One way to do this is using carousel which allows you to display up to ten images from different touch points on your site and link to them. In this case it would be your products which will rotate horizontally giving anyone scrolling a tempting overview of what you have to offer. Check out this beautiful example from Christmas Tree For Me and you will see that creating a stunning visual doesn’t have to be impossible. Serena & Lily are also killing it by showcasing matching products together in each window therefore inspiring customers to create an overall look for their home. Why not create a big holiday campaign and link to it from all your touch points such as an e-newsletter linking to your Facebook offer? This way you are connecting with your existing database in addition to potential new customers. Will this be the year that you decide to finally sell on Facebook? If so, let us know if your business makes more this holiday season!